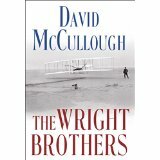 The Wright Brothers by David McCullough; $30 hardback (purchased); $14.99 Kindle edition. I spent most of my adult life in the aviation industry. Aviation saved me from a life I would have perceived as drudgery. It showed me I could do anything I wanted to do, that I had it in me. Some of my most wonderful, thoughtful, insightful (and occasionally scary) moments have been in the air. As a reporter and then editor of an aviation magazine for many, many years, I knew the Wright Brothers’ story–and their sister’s as well–but no one has ever told it with such care and attention to the humanity of these incredible human beings as David McCullough. I mean, non-fiction books, aren’t supposed to make you cry, right? But I did, reading of the first flight, of Orville’s near fatal crash, of Orville taking his 82-year-old father up on a flight (Bishop Wright said, “Higher, Orville, higher!”), of business concerns keeping Wilbur out of the air (I can so relate), and of the deaths, in succession, of Wilbur (near the age of my brother when I lost him), Katharine (whose contributions to her brothers’ success are vastly unnoticed), and Orville. Some old timers from the Civil Aeronautics Branch (which eventually became the FAA) were still on the job when I joined the agency in 1979, and they would tell stories of what a curmudgeon Orville was. McCullough holds true to this; as an historian, he gives all the details, the brothers’ many, many positive attributes and their faults. As an accurate history, it far surpasses William Lear’s “Kill Devil Hills,” and McCullough dispels the various myths about the Brothers and early aviation. A profoundly moving read, and I hated for it to end. I’ve always been a Wilbur Wright fan girl, and this only made me more so.